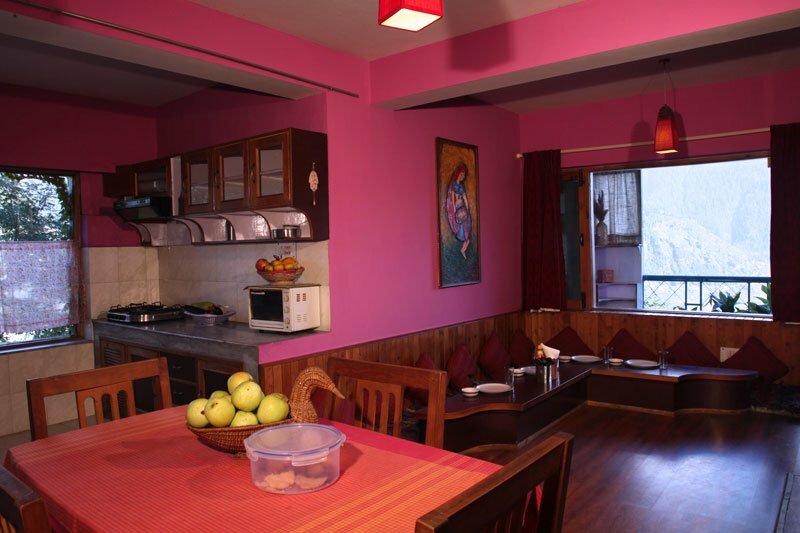 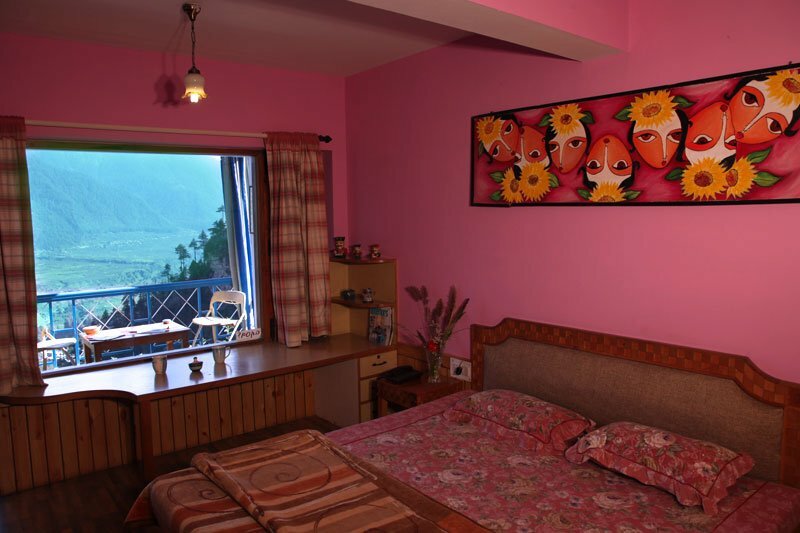 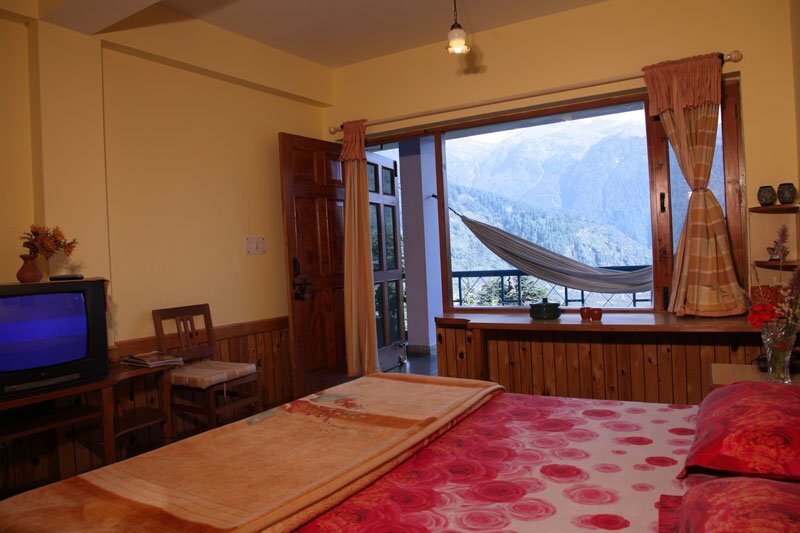 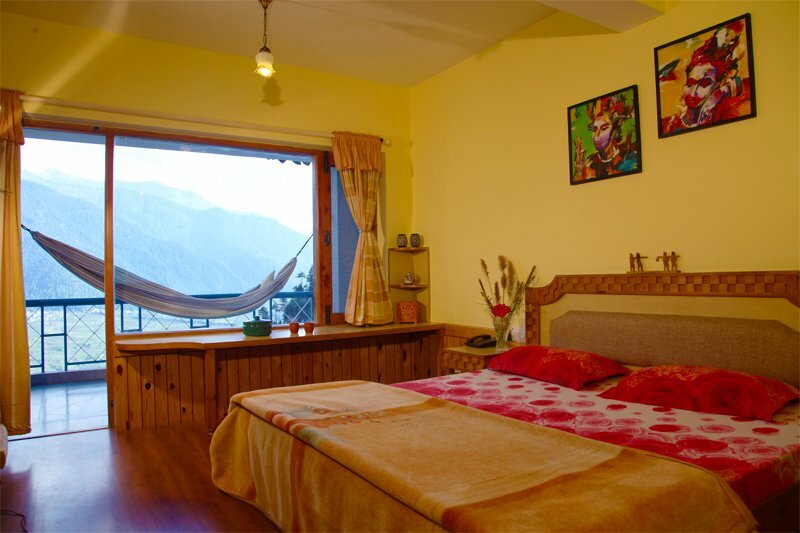 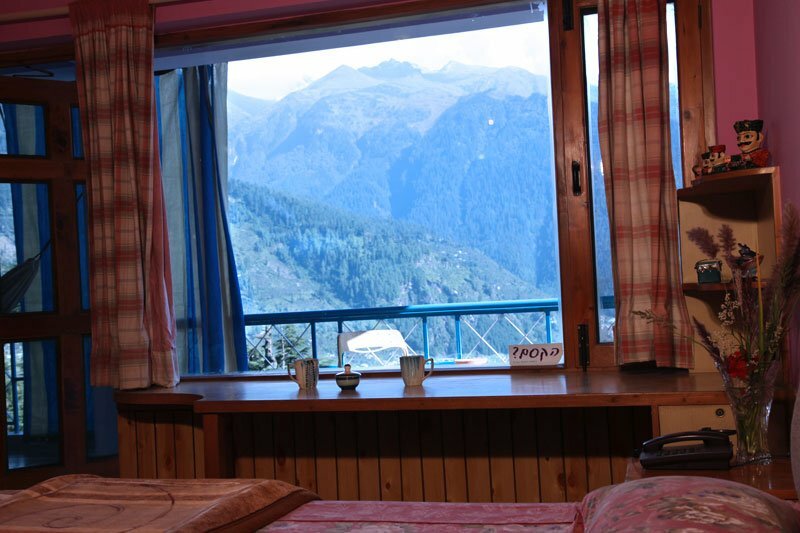 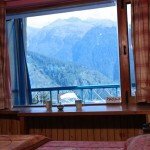 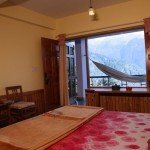 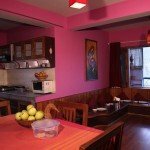 The super deluxe apartments in Kullu Manali feature 2 bedrooms with attached bathrooms, and a living area with an open kitchen and fireplace. 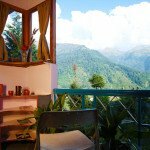 The highlight of the apartments is the private balcony, located on the front, which has retractable curtains, and an amazing view. 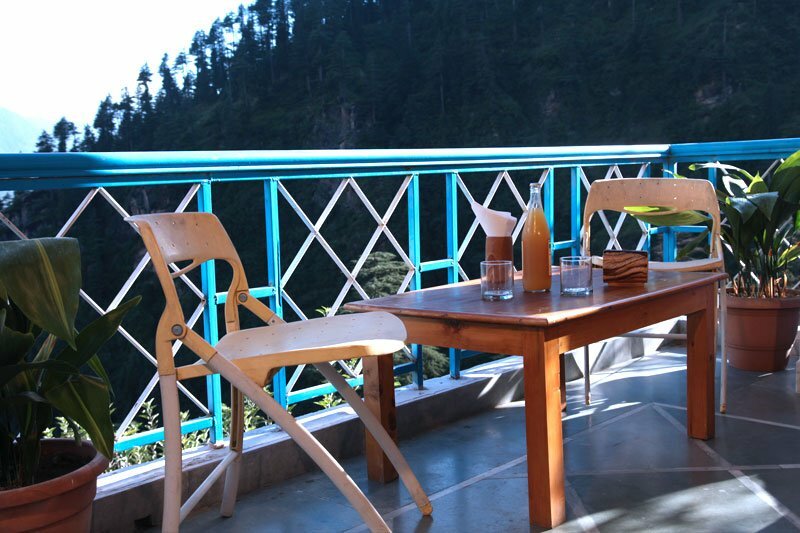 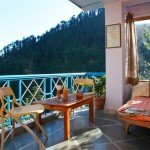 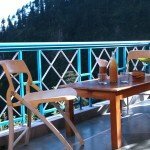 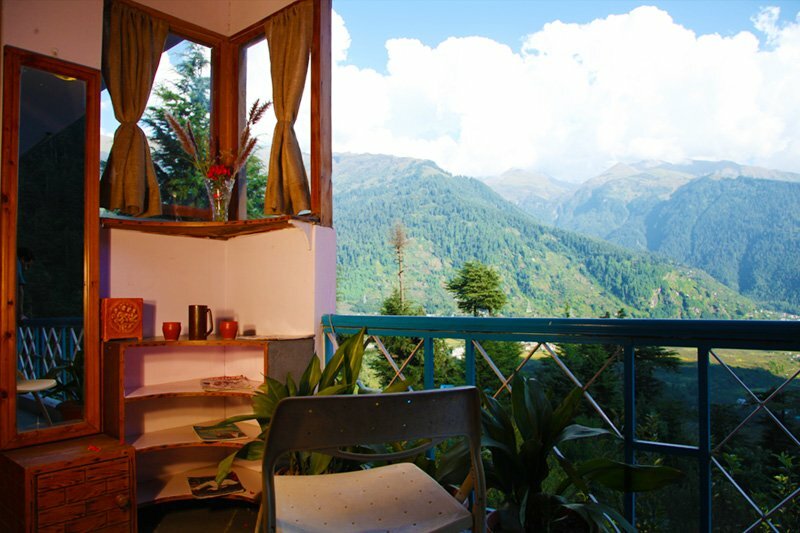 The balconies of Manali apartments have a small bed, so you can relax in the open sun, and also chairs and a table, so you can enjoy sitting with your friends outside. 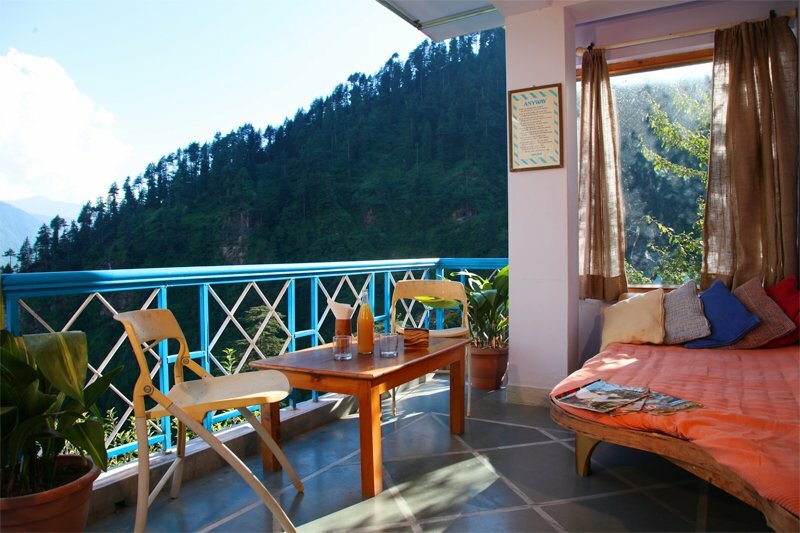 The view from these balconies is our personal favorite. 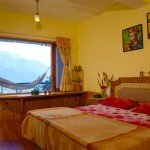 *Apartment II is situated on the second floor, and is more accessible from the parking lot.